Do you have at least one Bible in your home? Is it NRSV, ESV, or NIV? Maybe you’re more old school and prefer the classic King James translation. Do you even know what translation you have? Enough with the questions. My point is simple: If you have a Bible and it’s doing nothing more than collecting dust on a shelf, I encourage you to get that Holy Book back in commission. It’s time to dive into God’s word, pen in hand. Discover the message that the writer wanted as a takeaway. Attend church, a Bible study, Sunday School or other small group for more clarity. I’m a visual learner, so I need to see something in writing if I ever hope it will stick in my brain. The way I like to make sure I remember what I’ve learned is to write down notes. This is just as true when it comes to the Bible. I’ve tried sticky notes, a companion journal, and anything else I could find to jot down ideas and observations about scripture. But, the most effective method of jotting down thoughts and Jim’s explanations, is to write the notes directly onto the pages of the Bible. There are some wonderful study Bibles available; they frequently have space in the margins, perfect for note-taking. I like fine-point pens best. You can also buy special highlighter pens made specifically for Bibles. You can highlight verses that speak to you; scripture than inspires you; or, wording that challenges you. There’s nothing disrespectful about writing in your Bible. In fact, I think it shows great respect and attention. You’ll probably want to have a study Bible for note-taking and another for reading or taking to church. So, grab your Bible and pen and get writing! Greetings in the name of the Lord! My family and I are truly grateful to be part of Trinity UMC. We look forward to a great future in growing in the Lord and being a part of your lives. My wonderful wife of 14 years is Janey and she’s a violinist who trains young ones to bring music to life. 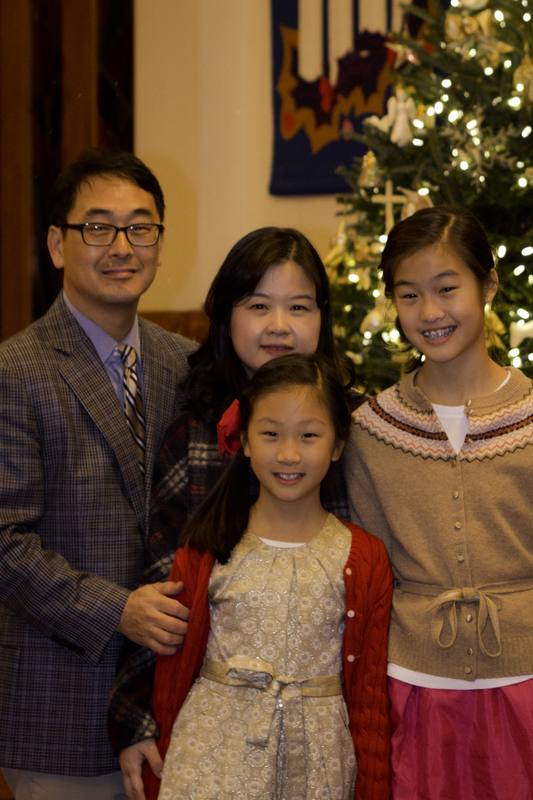 We are also blessed with two beautiful daughters, Christine, 12 and Joyce, 9. They sing, and play music; the wonder never stops! We’ve been in the area for nine years, and we love it here. We will start attending on the first Sunday of July but our hearts are already here. We are praying with you so that we continue to witness God’s wonders in the church, in our hearts, and also in the community. We can’t wait to see you all on July 5. As for me, the immediate task at hand is to minister to the youth. I’ve already asked Nick to be part of a team in ministering to the students. Furthermore, we are looking for others to join us to reach out, spend time, mentor and love the precious souls whom God sends our way. This urgency is due to two reasons. One, I don’t want miss out on the tremendous opportunity that summer offers. Two, being in youth ministry for a while, I have noticed that the time with them is short. The window of our spiritual influence in their lives is preciously narrow. Nevertheless, even though feeling pressed, I also know that our Eternal God will nurture, multiply and bless every effort we pour into these wonderful souls. And we rest in God’s abundance and mercy. We look forward to seeing you soon! Children, Pre-K through 6th grade, will meet at 9:30 a.m. in Rooms 402-403 today for a Bible story and activity including The Call series as outlined on page 4. They will begin as a large group and then split into two groups by age. To volunteer, please visit: bit.ly/teachchildren. Children, Pre-K through 6th grade, will be dismissed after the Children’s Message for faith-related activities in Rooms402-403. To sign-up to lead or assist, please visit: bit.ly/1030childrensprogram. 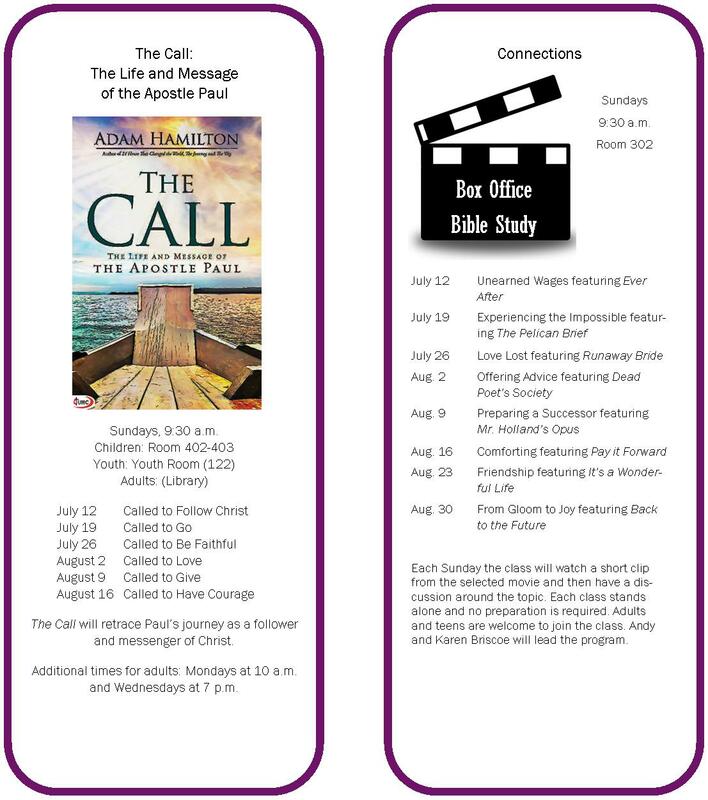 Please join us in Rooms 402-403 on Sunday, July 19 after the 10:30 a.m. worship to continue planning for 2015-16. No commitment necessary. Come to Room 115 at 10 a.m. on Sunday to learn that day’s anthem for the 10:30 a.m. service. If you’re looking for a reason to join one of Trinity’s music ensembles, a recent study suggests that being in a musical activity may offer intellectual benefits. It discovered that, among high-performing high school students, grades were consistently better for students who continued their music studies than those who dropped them after two years. Harvard University’s Leonid Perlovsky studied 180 high school students in Quebec who had been chosen for an International Baccalaureate program. Music was compulsory for their first two years of high school and optional for the final three years. Each year, the grades of students involved in music were higher than those of students who had not chosen to study music; of the 25 courses rated, music students performed better in all but two. While these results do not prove causality, the music courses seem to have provided intellectual and emotional benefits, leading to higher test scores. Perhaps music helps us cope with the discomfort of discovering information that contradicts one of our core beliefs. By living with this cognitive dissonance through exposure to music, we are open to new ideas that in turn lead to intellectual and emotional growth. Being socially connected by membership in an ensemble also helps strengthen social bonds and encourage intellectual curiosity. Music in Christian worship has always existed to help us pray together and praise God with one voice. But if it has the potential to also make us a little smarter, or more curious, or more flexible, or more collaborative, that’s a bonus! If you’d like more information about Trinity’s music groups, please contact Jerry Rich. Hi, kids of Trinity Church! I hope your summer is going well. I’m still waiting for someone to drop a hamburger while grilling. It hasn’t happened yet, but there’s still plenty of summer left. 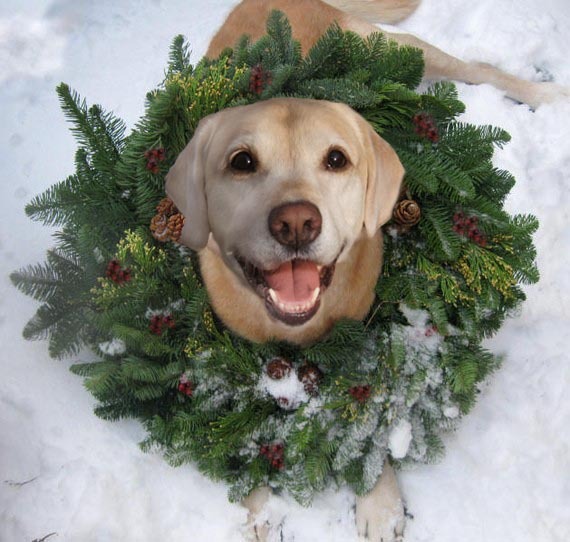 If it’s summer, then why am I thinking about Christmas? Well, I have another awesome question from Mr. Faust’s Sunday School class. They asked, “When was Jesus really born?” Aren’t you guys smart! We celebrate Jesus’ birthday on December 25, but is that when he was born, or is that just when we celebrate? Where do you think we should look to figure out when Jesus was born? If you said it’s the Bible, you’re right! Go grab a Bible and turn to the New Testament. Look up Luke 2:8-11. Now look at verse eight again. It says the shepherds were living in the fields, keeping watch over their sheep. That means it was probably spring or early summer when the angel appeared to them. In December, the sheep would probably have been in a big fenced-in area, not in the fields. So, how did we come to celebrate Jesus’ birthday in December? The fact of the matter is that we’re not sure. It could have started more than 1500 years ago! There was a Roman feast and festival (it was a huge party!) on December 25. One idea is that the Christians decided to celebrate Jesus’ birth at the same time as the festival, hoping the people who weren’t Christians would decide to join in on their celebration instead. Whatever date is the real birthday of Jesus isn’t as important as the meaning of it. We celebrate Jesus’ life and all he has given us. It’s like Jesus is the one giving us the real gift! If you have a question, you can reach me at: bit.ly/askbiscuit. 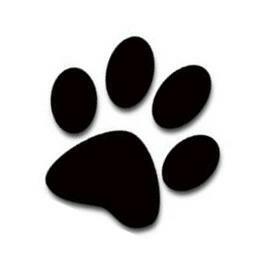 Remember my motto: Paws for Jesus. Posted on June 30, 2015 Categories Biscuit/Duke/Henny, Children, Education, WorshipLeave a comment on Was Jesus Really Born on December 25? Please leave your donations in the collection boxes located in the foyers of the sanctuary or in the Fellowship Building. Thank you for helping us take care of SHARE and the hungry, needy families in our area! Special thanks to all who donated Movie Night items in June to Langley Residential Support Services. They are already putting them to good use. Trinity’s mission team of eight departs July 20 for eight days in Honduras at Heart to Heart Children’s Village (H2H). The team includes Liz and Alexandra Raveling; Jake and Kaela Wilbur, plus four friends of the Wilbur family, the Church family. They will join with three others from H2H and the team will work with the kids at Children’s Village with summer fun activities including putting on a drama camp! We look forward to hearing from them on their return. In the meantime, please remember this team and those they will serve in your prayers. 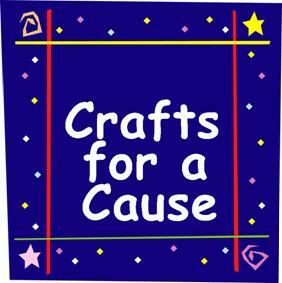 Crafts for a Cause continues to meet throughout the summer months to keep up with the demand for comfort items at Fair Oaks Hospital. This month, we’ll meet on Mon., July 13, and Mon, July 27 from 7 to 8:30 p.m. in Room 124. We’ll be working on surgery dolls and bears for children; and neck pillows, lap blankets and arm pillows for breast cancer and chemotherapy patients. We will also be working on hand-stamping cards for families staying at the Ronald McDonald House at Fairfax Hospital. The craft group meets every other Monday night; everyone’s welcome, instruction and materials provided. If you’re a knitter or crocheter, we have patterns for baby caps you can make at home. For more information, contact Molly Sprouse at 703-356-4896 or mollysprouse@gmail.com.